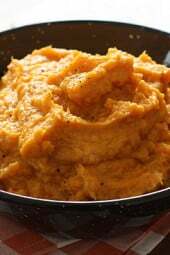 Mashed sweet potatoes are often smothered in sugar, but this savory version is healthy and just as delicious! Your loved ones will keep coming back for more. 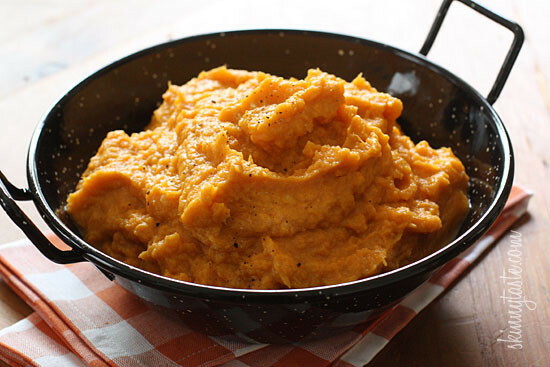 Need a few good reasons to pass on plain old potatoes and get sweet on sweet potatoes instead? These orange tubers are one of the top food sources of vitamin A, which helps protect your peepers. It also contains vitamins C and B-6, fiber, copper and potassium. Pair this with chicken, Salisbury Steak, Pork Chops, or Turkey Meatloaf. Double or triple this recipe and add it to your Thanksgiving menu. Store sweet potatoes in a cool, dry, dark place and they’ll stay fresh for several weeks. Sweet indeed! Sweet potatoes are often smothered in sugar and topped with more sugar, but this savory version will surprise you and your loved ones and keep them coming back for more! In a large pot boil sweet potatoes in salted water until tender, drain in a colander. Meanwhile, melt butter and sauté garlic until lightly golden. Return potatoes to the pan, add milk and sour cream; mash until smooth and creamy. Adjust salt and pepper to taste. 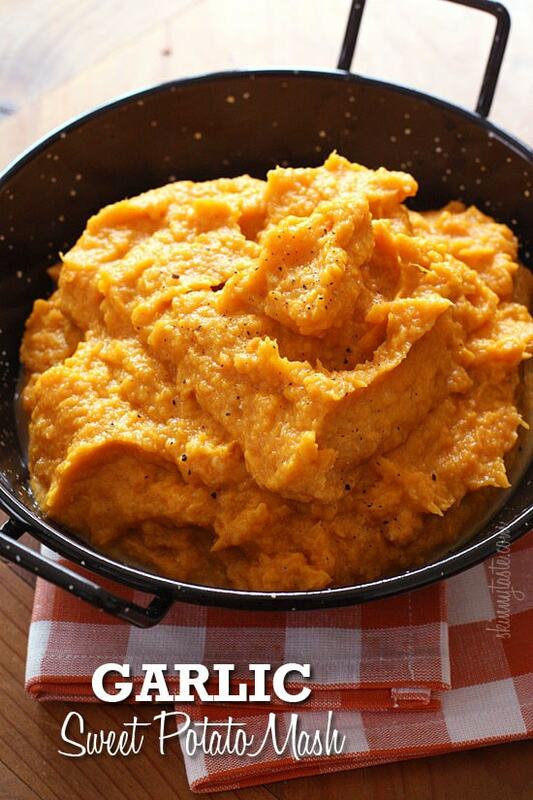 Nutritional information for sweet potatoes provided by Heather K Jones, RD (aka The Diet P.I. ).